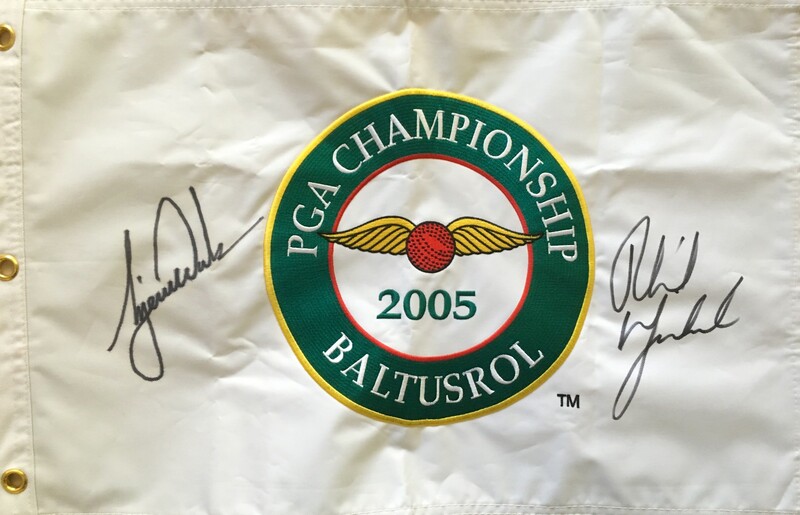 2005 PGA Championship embroidered heavy white canvas golf pin flag autographed in thick black marker on opposite sides by Phil Mickelson (who won his second major title at Baltusrol) and Tiger Woods, who finished tied for 4th. Obtained in person, with certificate of authenticity from AutographsForSale.com. ONLY ONE AVAILABLE FOR SALE.